Let's talk about Facebook for a moment, shall we? I know the moment Facebook enters the conversation, page/community/social media managers and bloggers alike start a low growl. The weeping and gnashing of teeth soon overcome even the most timid of us, as we wail in frustration at the increasing struggle we are all having with maintaining our various Facebook Pages. 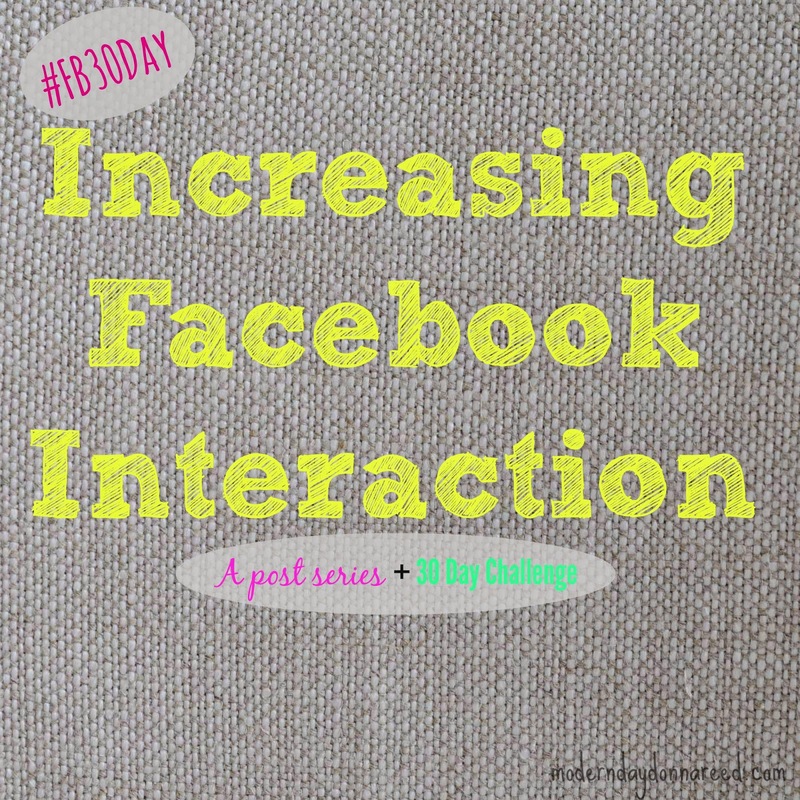 Since the introduction of Facebook Pages, there have been a lot of ups and downs. Many of us were lulled into a false sense of security as we posted and easily gained a comment, a like, a view. As Facebook Pages became more popular, even the biggest of companies came to the table. Soon, Facebook had to begin tweaking the algorithm to make sure that only relevant posts popped up in newsfeeds. As a result, many pages saw a decline in the amount of people who saw posts, and consequently, who interacted with them. Then the dreaded happened: Facebook became a publicly traded commodity. And who can blame 'em? People have to make money, yo! Facebook managers grimaced as they found once again that the algorithm was tweaked, in accordance not only to relevant topics in newsfeeds, but favoring boosted and sponsored (i.e. : paid for) posts as well. What's a Facebook Page manager to do? Spend every last dime they don't have just so a few more people might see what they post? I've heard much riotous talk, particularly in the private social media groups I am privileged to be apart of. This is a common topic among the Philly Social Media Moms, most of whom don't have huge budgets nor a certainty that paying for posts is even worth it. Some have stopped focusing on Facebook or jumped the S.S. Facebook ship all together, choosing to invest time and energy into other media networks such as Twitter, Pinterest and Google+. Don't give up on Facebook. Despite the decreasing interaction many pages have seen, some are still seeing solid (if not undulating at times) stats on their Facebook pages. I love the challenge of Facebook and manage several pages. And while some struggle, others are thriving. After a conversation I had with some bloggy friends today, a few suggested that I might write down some of my tips and pieces of advice so that others may benefit. I balked at this at first, mainly because, hello: I'm not an expert. By any stretch of the imagination. Even with beer goggles on. I have had decent success with my Confessions of a Stay-at-Home Mom Facebook page, and while I am happy to share any small amount of knowledge I have, I'm always hesitant. Because there is no guarantee. Some Facebook Pages seem to excel while others flounder. And Facebook is always working against us with the ever-changing algorithm. Despite my reservations, I'd love to share what has worked for me over the course of several posts. 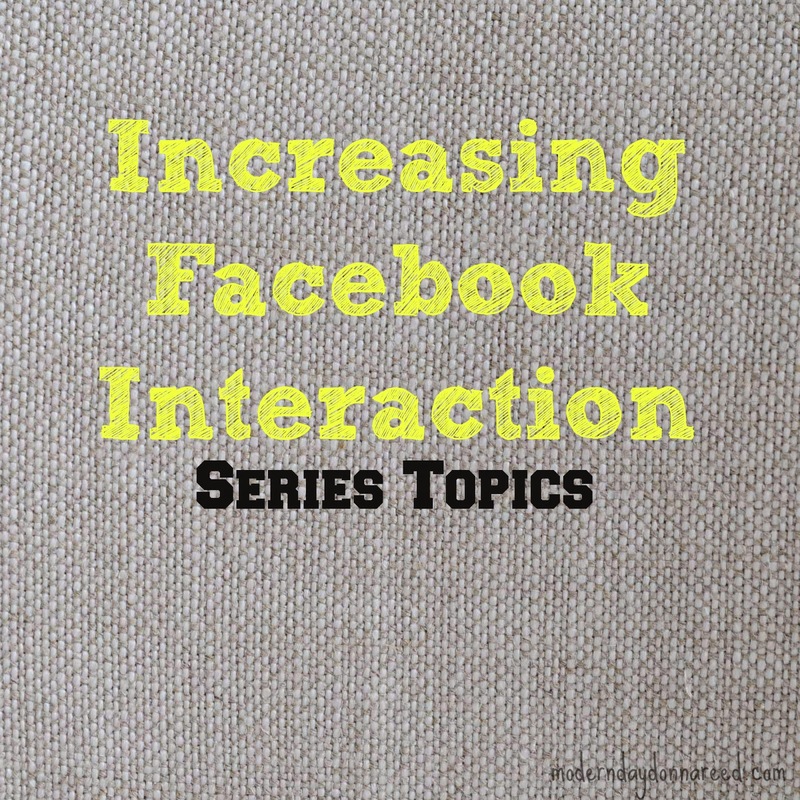 At the end of the series, I'd like to then challenge people to take the information I share and form their own Facebook Page Strategy, which they will implement over the course of 30 days. It will be a great experiment and hopefully we'll all come out of it with positive results! I will start the first real post of the series tomorrow. But I thought I'd share, quickly (since I know this post is already way too long for SEO standards), what I'll be covering. While many share (with much gritting of teeth and histrionics) that they've tried everything, the more I dig, the more I find the same few problems. A lack of consistency, posting too infrequently, unvaried content, and too much self-promotion. When I ask about any attempts made to improve their audience/interaction, they usually admit they get too frustrated and give up after only trying for a day or two. The first post will come tomorrow - so stay tuned! How would you answer the 4 questions above? 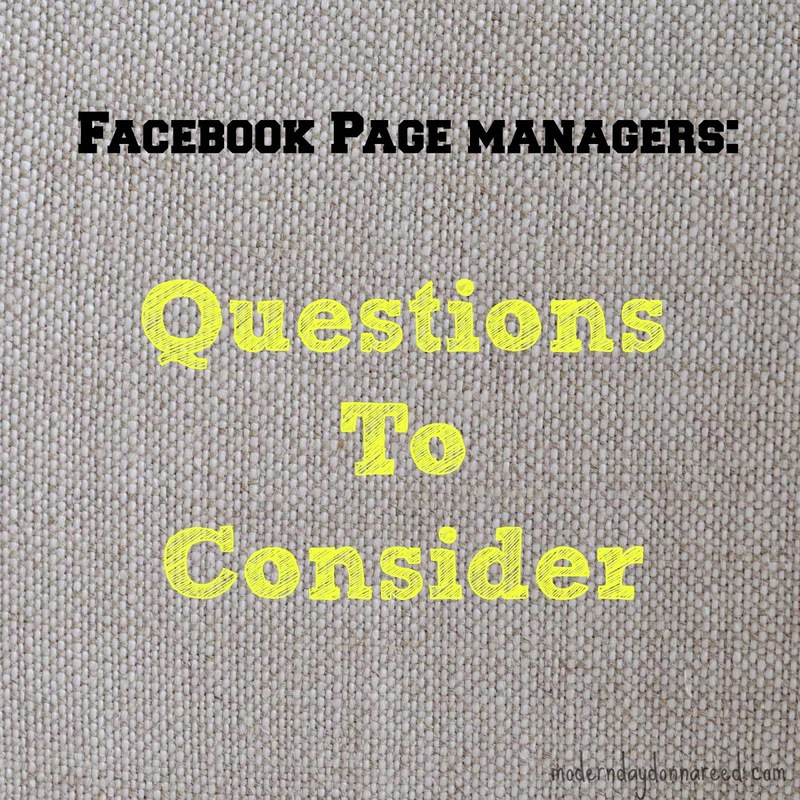 What are the Facebook Pages you manage? What is your experience with managing Facebook Pages? Leave a comment and let's start this party!